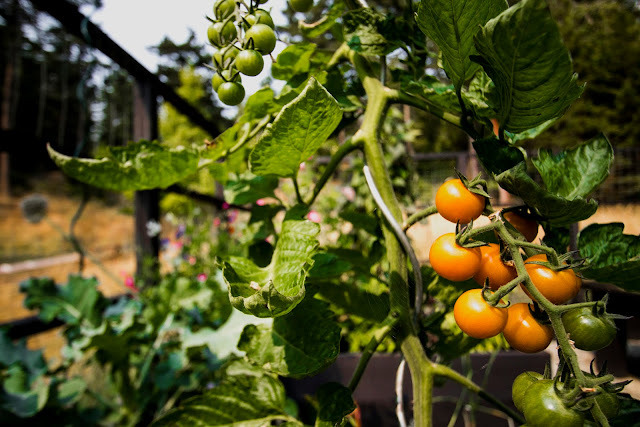 Come on in and see what we have growing. 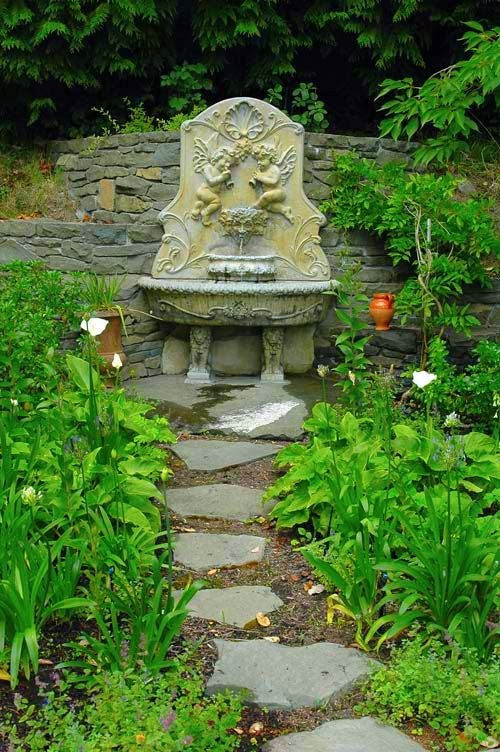 Stone, wood, running water, beautiful gardens and loving care. 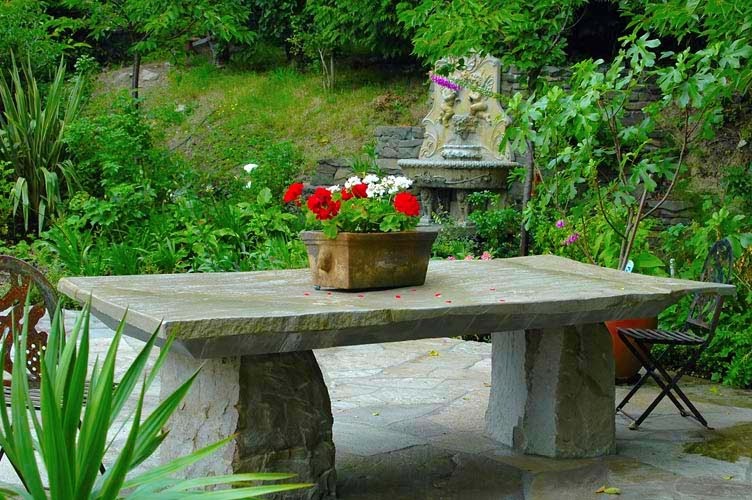 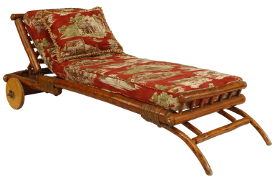 Let our passion be your guide and together we’ll transform your outdoor space into something brilliant. 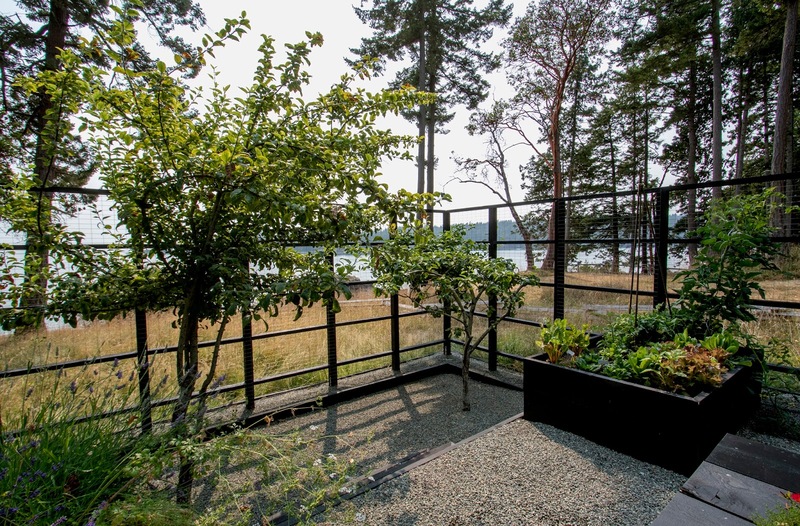 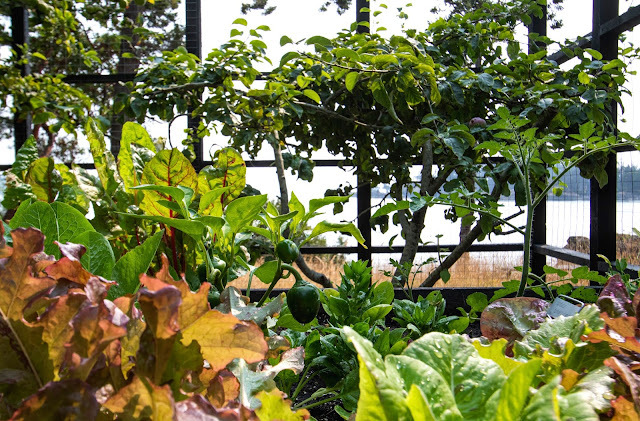 This was a uniquely rewarding project for us; we created a completely deer-proof vegetable garden by the sea. 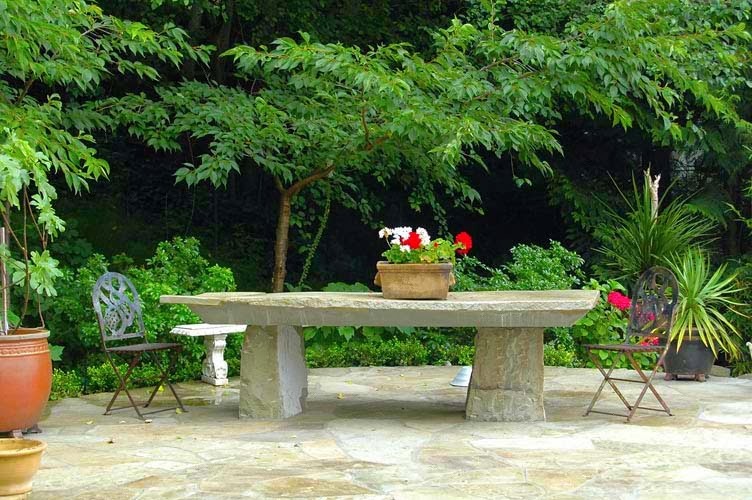 It also contains two fruit trees, and an assortment of cheerfully colourful flowers planted in a large table for quiet contemplation or relaxing social gatherings. The entire structure was custom designed and is utterly solid in the face of deer, not to mention that it looks lovely and it's a wonderful space in which to putter in the garden or to sit and relax with loved ones and friends. 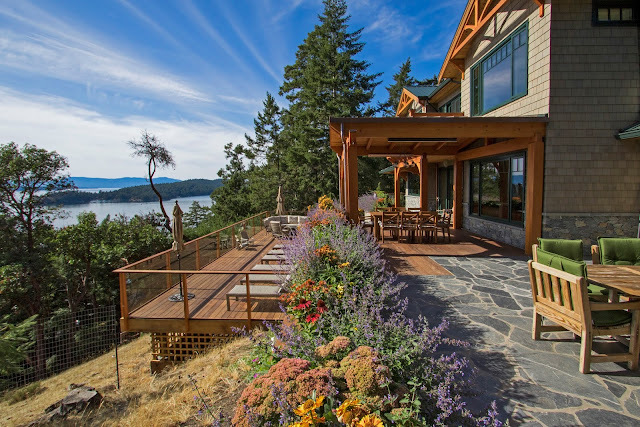 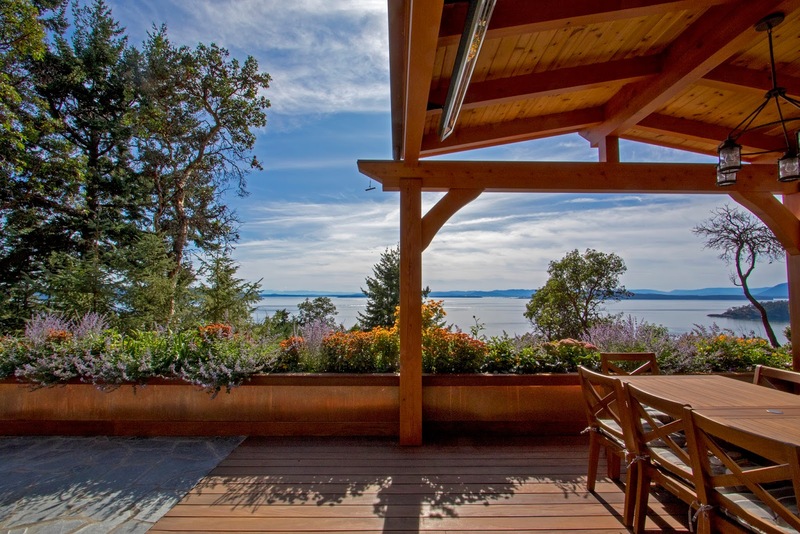 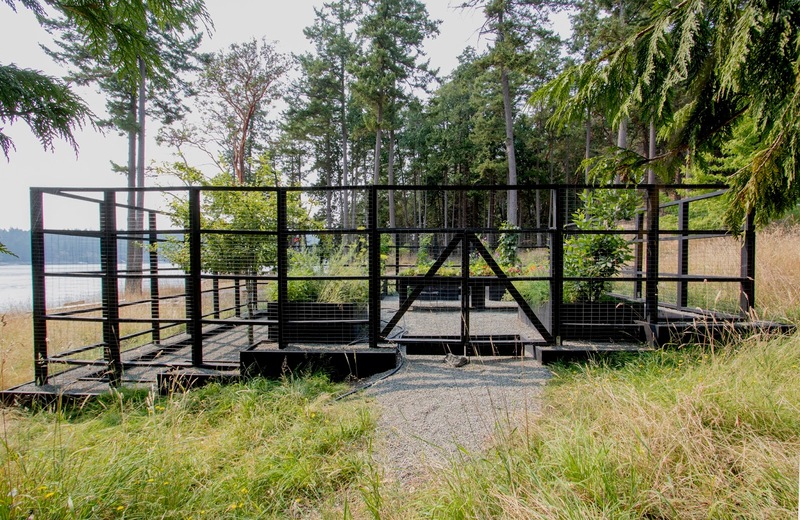 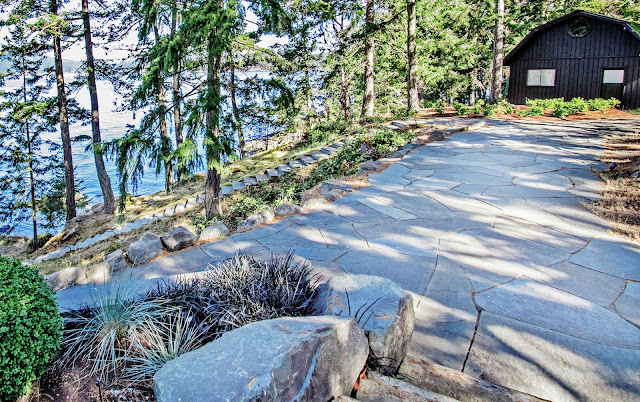 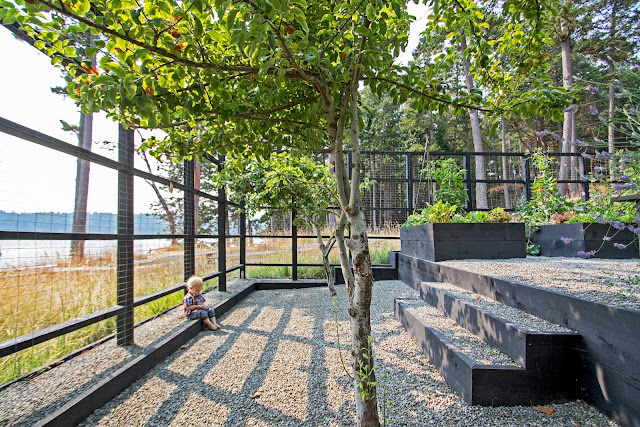 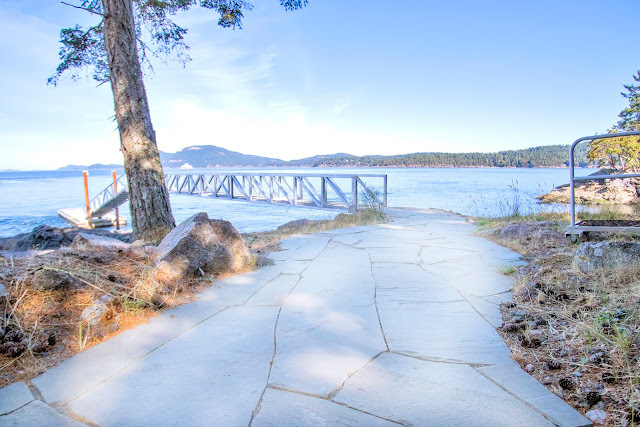 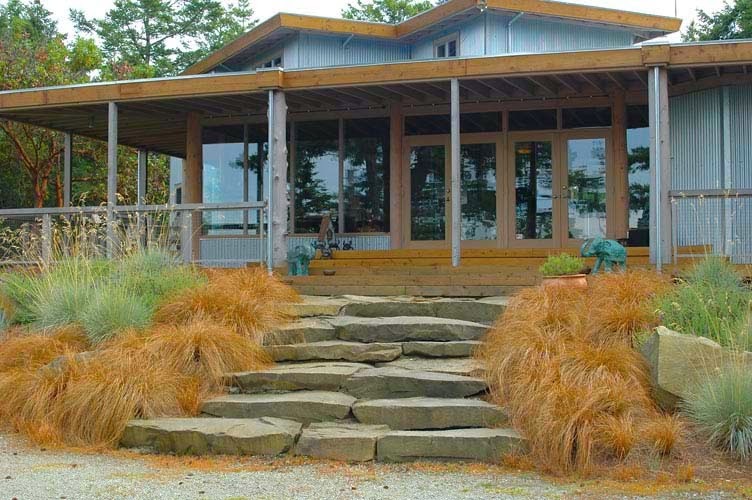 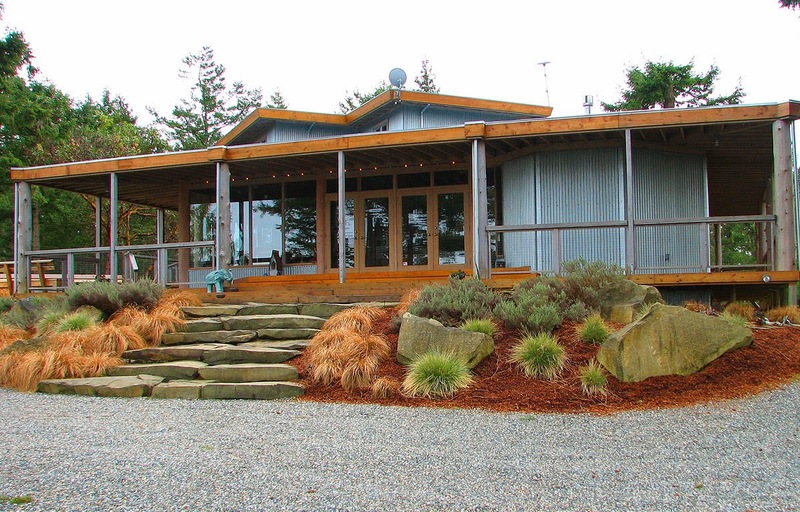 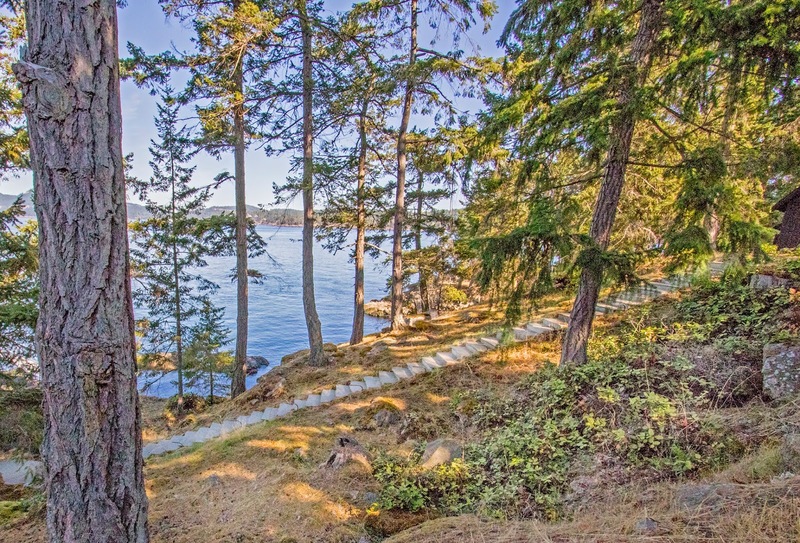 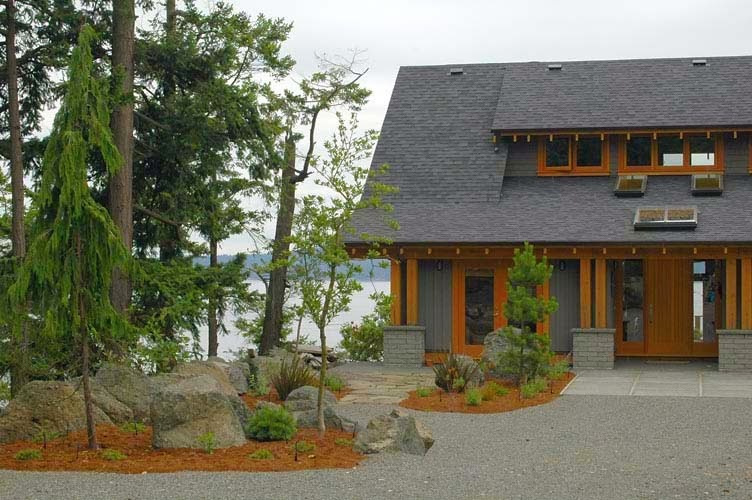 The owners of this incredible Pender Island oceanview home wanted flowers, lots of colourful flowers that would bloom abundantly through most of the year. 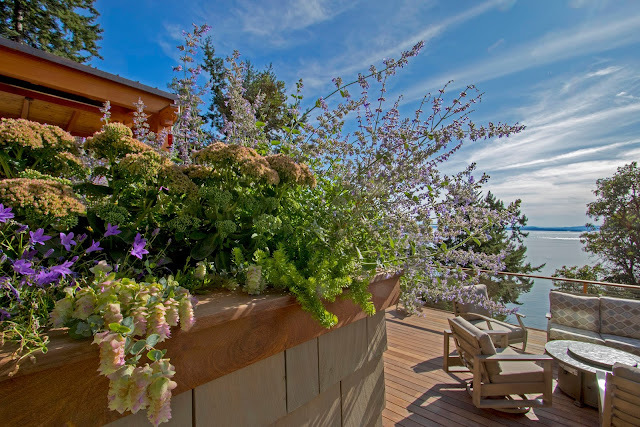 We formulated a super-soil blend that has resulted in furiously gorgeous blooms almost all year-round, even during the hottest and driest peak of the summer. 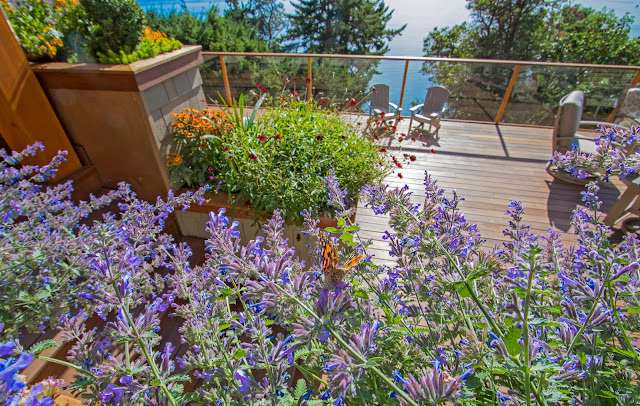 Butterflies and hummingbirds joyfully flitting about and fresh herbs for the picking are added perks alongside the visual beauty of this easy-care container garden. 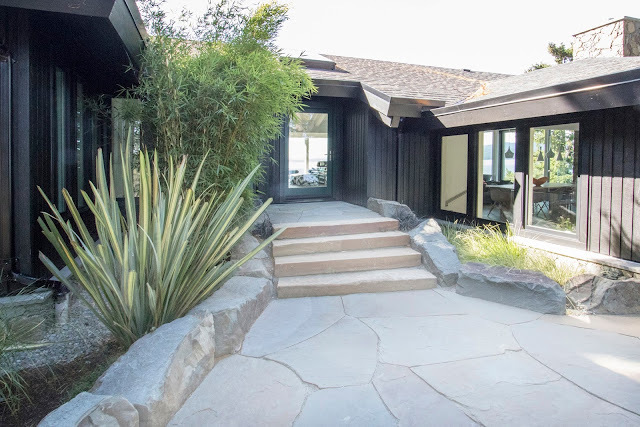 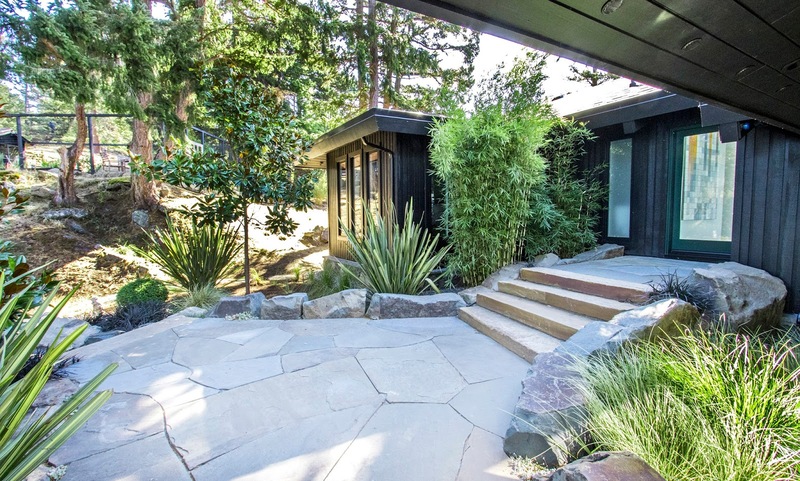 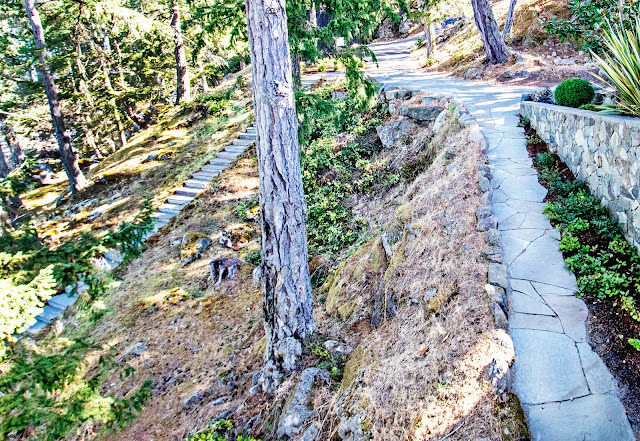 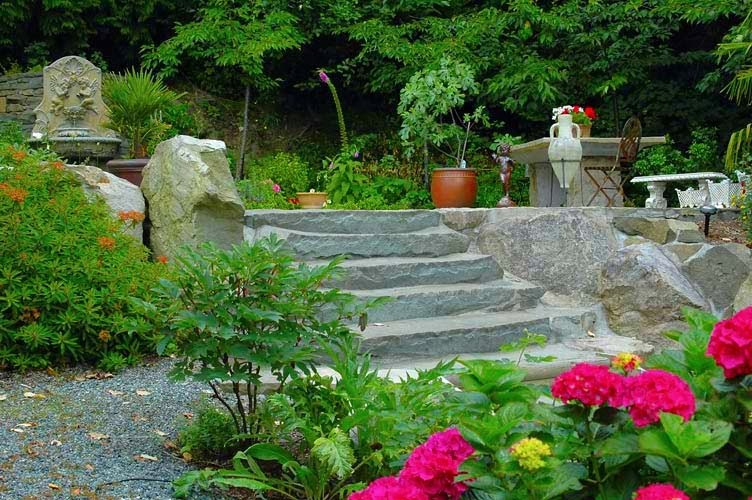 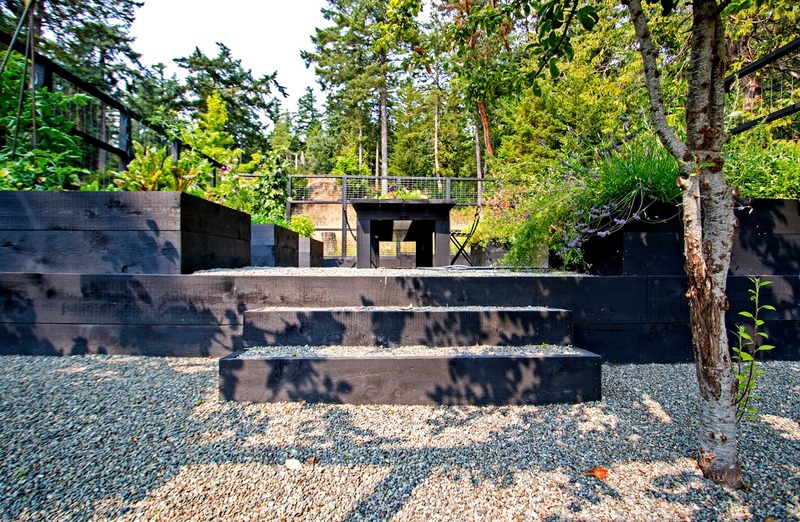 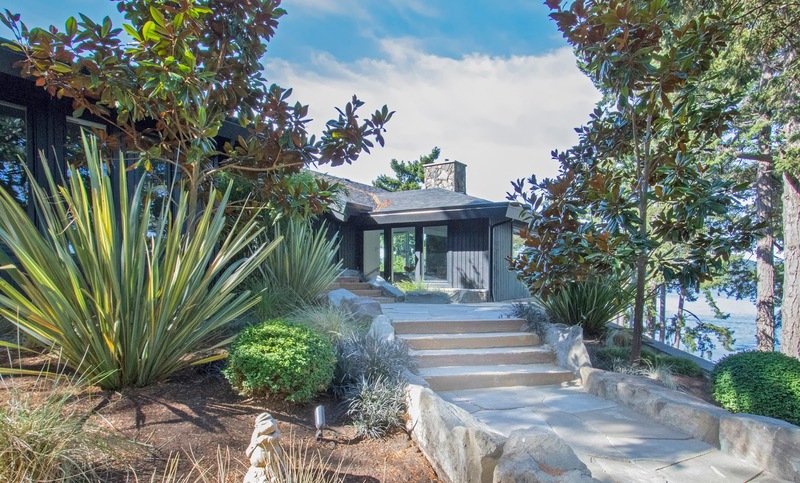 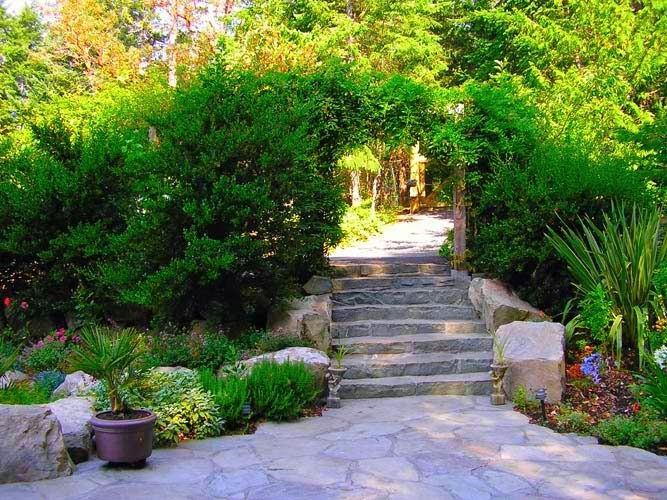 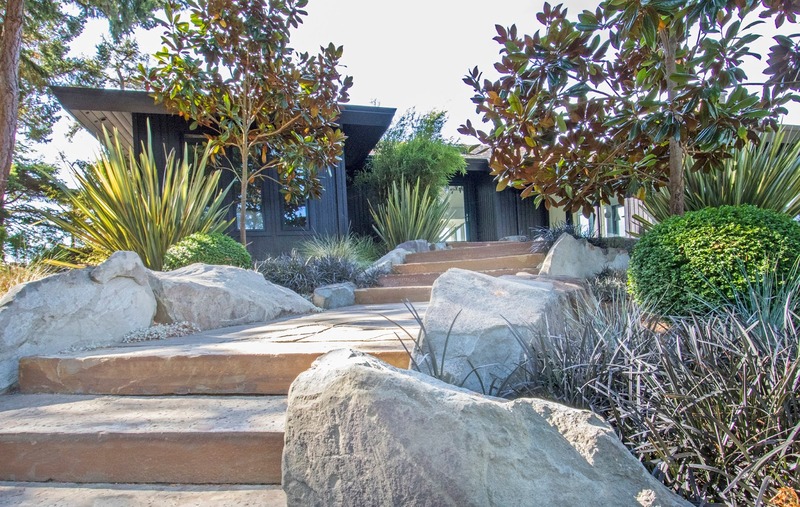 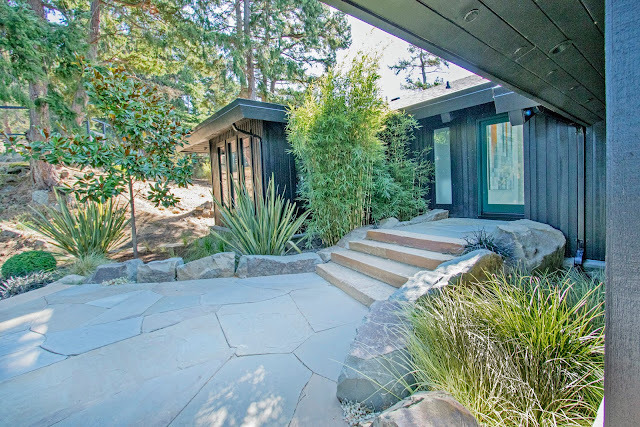 The property owners requested a dramatic entrance which was achieved by replacing various levels of decking with stone stairs, landings and modern drought-resistant plantings. 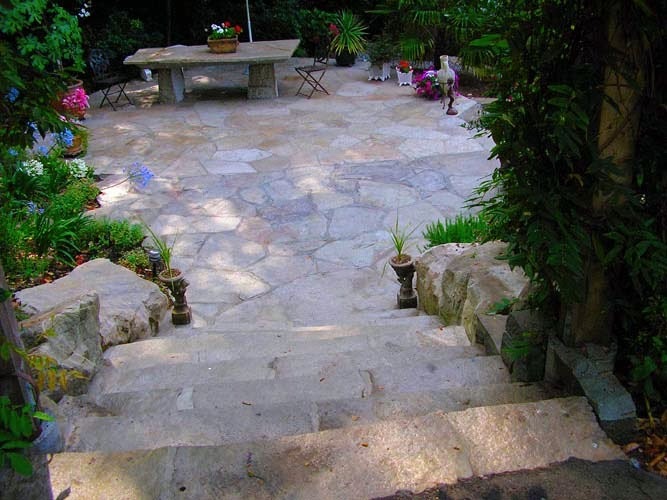 A strip of asphalt driveway was replaced by stone patio work, as was the existing concrete on the lower level. 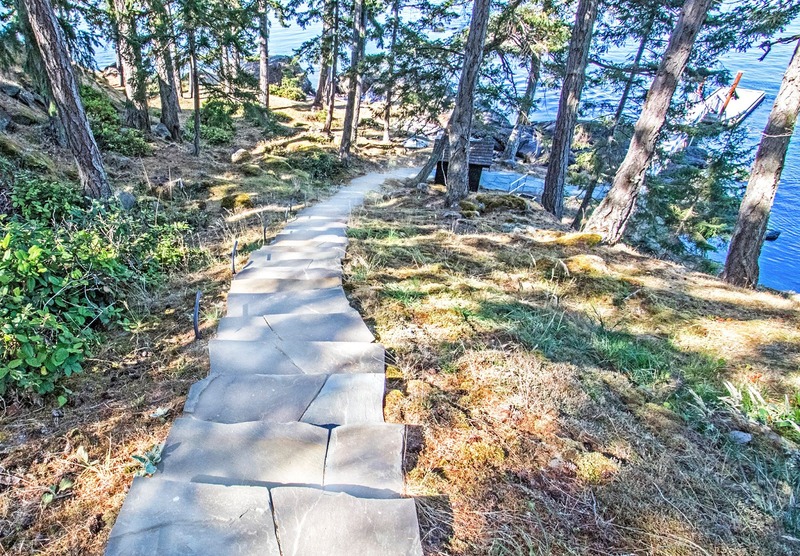 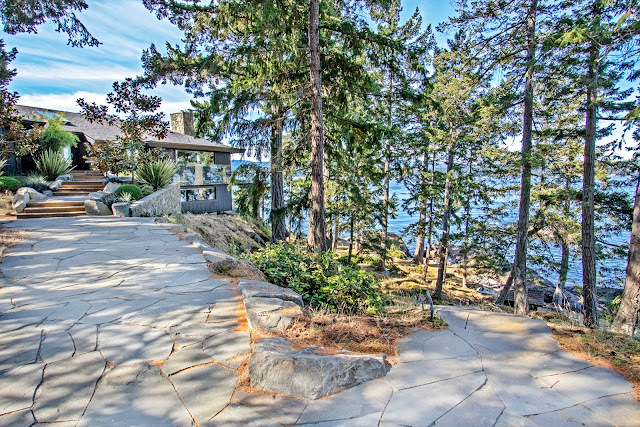 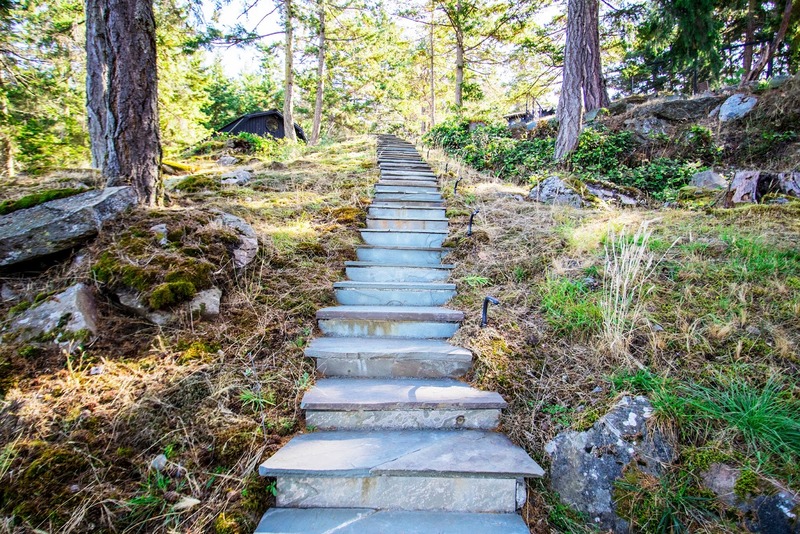 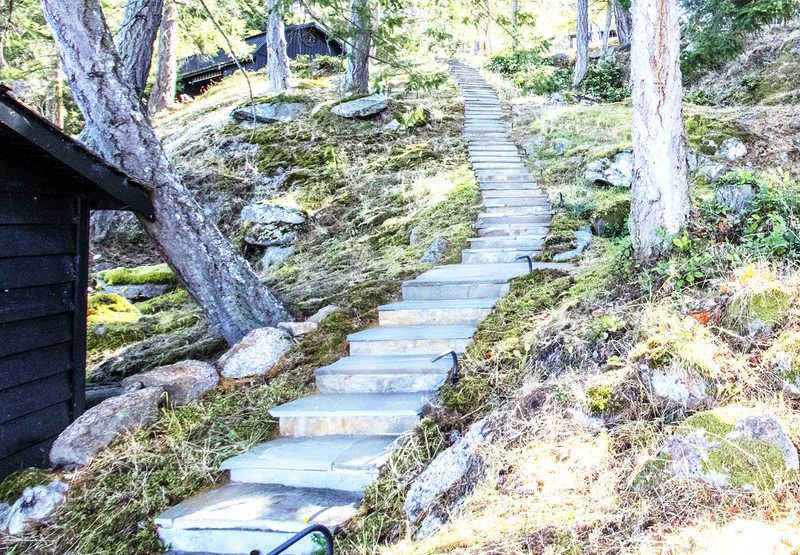 A stone stair path leads down to the dock, making the steep bank waterfront easily and beautifully accessible. 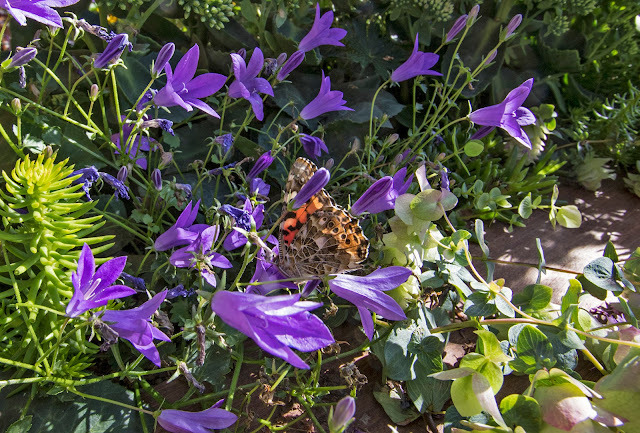 There are many photos on this page, it may take a minute or two to fully load depending on your network speed. 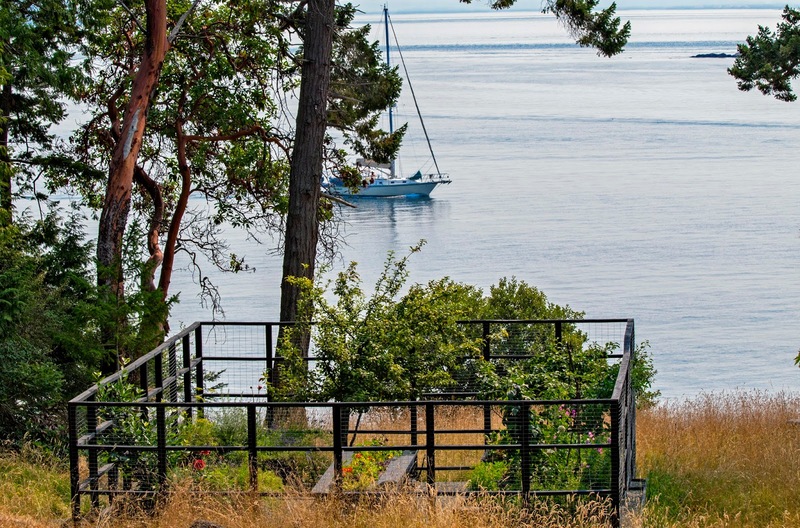 The existing landscape was renovated to create outdoor living areas that embrace the stunning ocean views with surrounding gardens that emphasize colour and movement. Large boulders set off the trees and shrubs that were planted to create privacy. 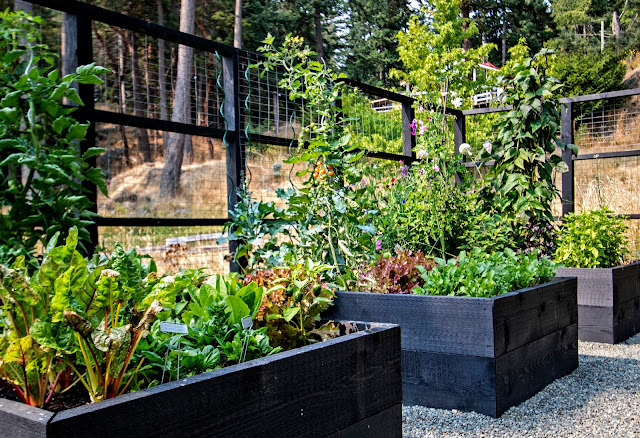 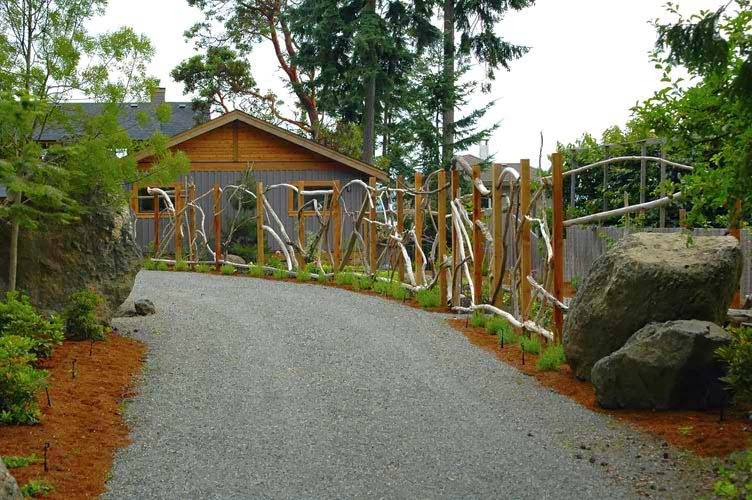 A unique cedar and driftwood fence surrounds the vegetable garden, an artistic approach to deer-proofing. 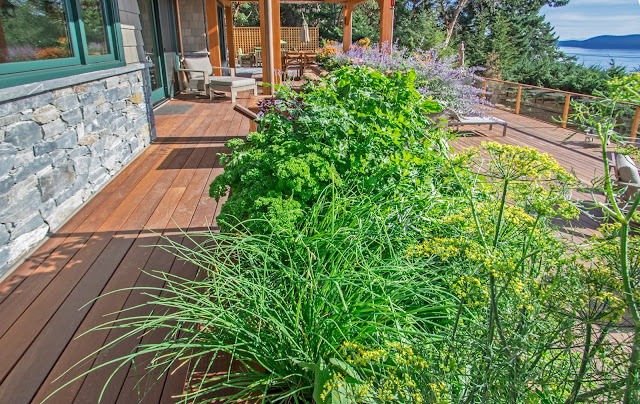 This landscape was inspired by the homeowners' love of the Mediterranean. 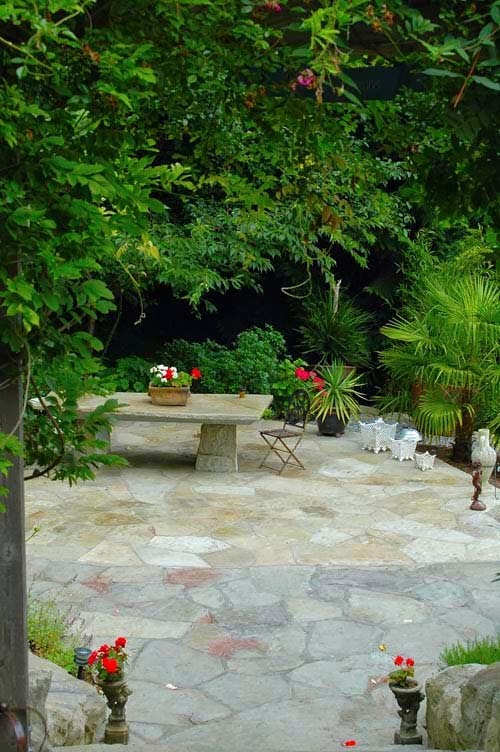 It features extensive use of local stone and Mediterranean plantings. 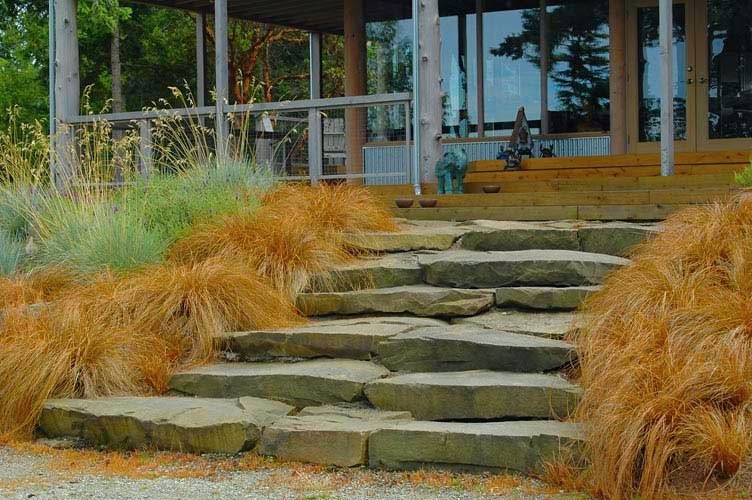 The massive sandstone steps and low-maintenance plantings set off the entrance to the house. Island residents want beautiful, easy to maintain, drought tolerant gardens that attract birds and butterflies. 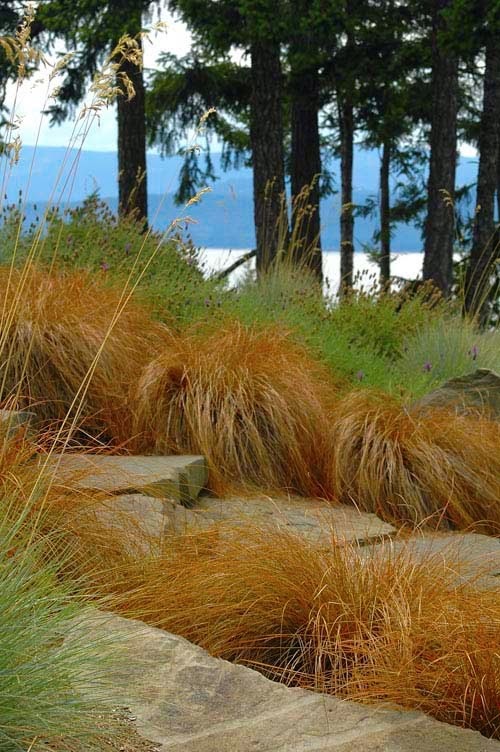 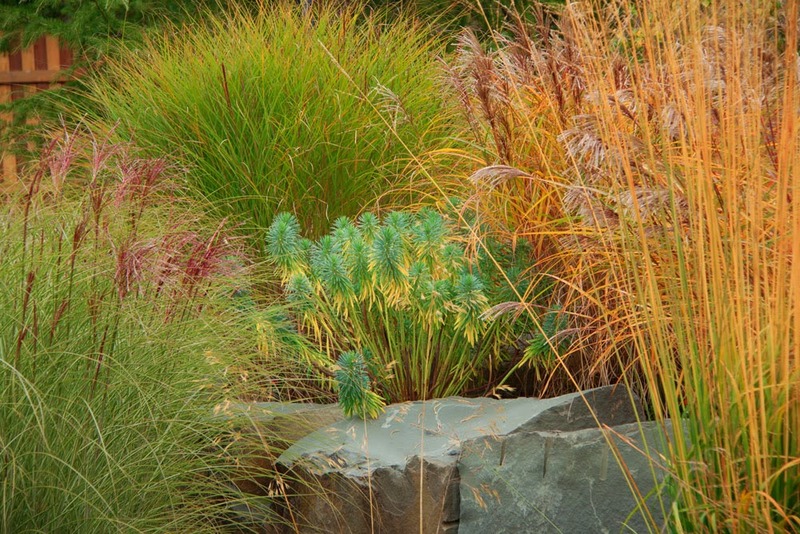 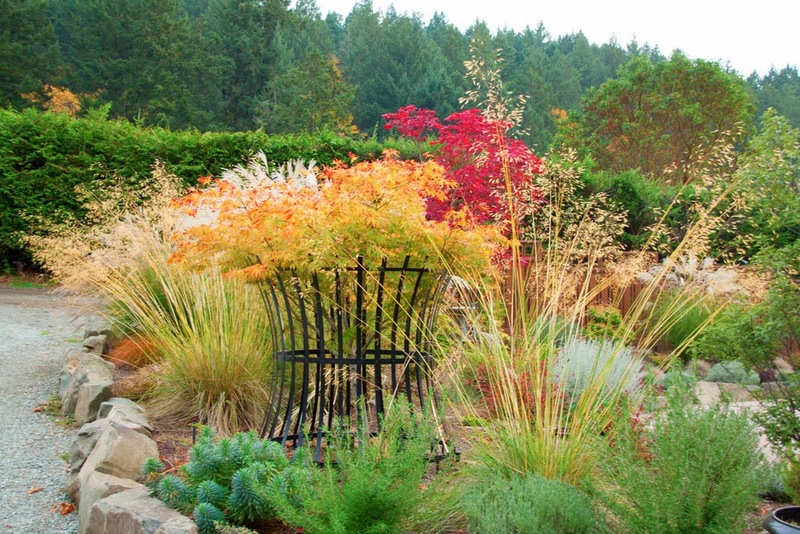 The best plant choices for gardens are often the native plants that thrive naturally in our region.